Barbaricum's solutions are flexible, innovative, and pragmatic, leading to outstanding results. In today’s complex media environment, it is more important than ever to understand where your audience obtains its information. In 2016 the USAF Office of Public Affairs tasked Barbaricum with helping to improve communication strategies across the total force by redesigning and baselining their signature survey on where airmen get their information (WAGI). In order to produce the most effective and in-depth research possible, Barbaricum conducted a series of test surveys, cognitive interviews, and focus groups, the results of which were used to inform a broader and more detailed survey of airmen. With this newly designed survey, Barbaricum collected data from a random selection of over 5000 airmen around the world, including active military, reservists, national guardsmen, and civilians. Analysts then traveled the globe to provide further context to their findings through a series of focus groups at six bases on three continents. Our analyses identified areas of both strength and improvement in existing communication methods and strategies, supported by detailed usage profiles and media consumption trends for various communications products, target audiences, and air bases. We discovered strong preferences among airmen to obtain Air Force related news from official Air Force sources and through their chain of command, while also identifying communications challenges where Airmen turned to outside sources of information. Additional analyses focused on airmen’s social media habits and identified potential areas for improvement in the Air Force’s social media strategy. In order to increase communication effectiveness, Barbaricum recommended that the Air Force increase awareness of their online versions of official channels of communication, as the newer generation of Airmen continues to trend toward online media consumption and away from traditional print and broadcast outlets. Barbaricum also recommended the Air Force continue to assess the sources of information airmen use to ensure that they stay aware of shifting trends and continue to effectively communicate via channels where airmen are getting their information. The US Consumer Product Safety Commission (CPSC) is tasked with protecting the public from injury or death associated with the use of products under its jurisdiction. To identify emerging threats, the agency’s Data Intake Team monitors incidents through different channels, like police logs, hospital filings, and news articles. As media consumption transitioned from paper to digital, CPSC saw the need – and opportunity – to rethink its news gathering process, evolving from offline clip-cutting to online harvesting. Barbaricum was tasked with developing a turn-key solution that automated the search, review and reporting phases. We built a platform capable of capturing news clip headlines from hundreds of thousands of online sources of all types, with an emphasis on local publications, with a de-duping filter to eliminate duplicates. Upon inspection by our analysts, approximately 90% of clips are discarded, while the remaining 10% are run through a custom software that retrieves the full text of the article for further curation. Our weekly submission of approximately 150 news incidents allows CPSC to rapidly deploy on-site investigators for risk assessments. Barbaricum maintains over ten personnel with part of the team in the US and others deployed in the Middle East. Our advisors embed at a number of locations alongside conventional units including US Army Special Operations Forces ubiquitously through Afghanistan and Iraq providing support to conventional units at the Brigade level deployed in support of Operation Inherent Resolve. 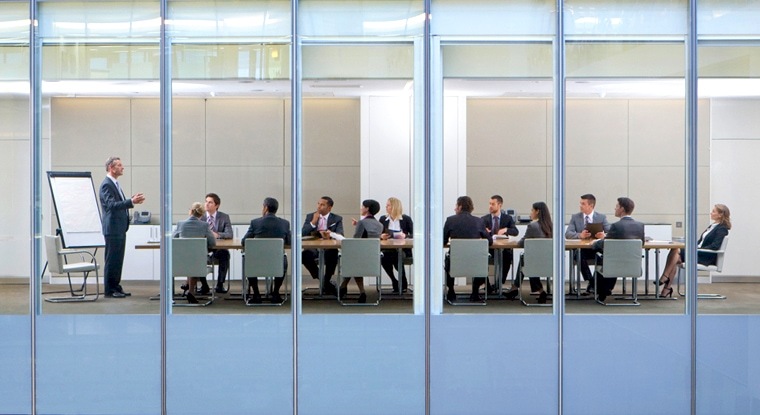 These advisors provide ISR best-practice advisement, reporting, and informal mentorship and advisement at each location. Our advisors have conducted Subject Matter Expert (SME) exchanges with Lebanon, Ukraine, Great Britain, Mexico, and South Korea to date. We are intimately familiar with short and long duration deployment administrative requirements for personnel. We understand and regularly process, CAAMS packets, Visas, SPOT LOA, coordinating with CRC, and other administrative functions necessary to deploy personnel. In October 2016, Barbaricum’s PMO managed and efficiently processed 57 travel claims to 5 countries and reimbursed all contractor personnel within one work week. Our most recent CPARS from our client resulted in Exceptional Ratings in Support to Deployed Forces, Quality, Schedule, Cost Control, and Management. Barbaricum provides media analysis and reporting for the SEC. In addition to these ongoing services, our team developed a new platform to store all media report deliverables for the client. We built customized website that allows SEC employees to access every report and to search individual articles using keywords and phrases. Additionally, we designed the platform to be an easier way to access and interact with the reports. Once the concept was approved we began the process of designing, building, obtaining OIT Certification, and testing the 508 compliance of all reports produced by the website. This process involved collaboration with the public affairs and IT security offices at SEC in order to provide not only a high-quality product (the reports) but to also guarantee the security and accessibility of the website so that access was limited only to those authorized to view (SEC staff) and use the platform. Once the Barbaricum team in conjunction with SEC staff finished the design, construction, and testing of the platform we went live in 2017. The culmination of all of this hard work and collaboration has resulted in a fully functional platform whose search functions outperform traditional database portals used by the client. Barbaricum integrated advanced technical systems training at the tactical, operational, and strategic levels. In addition to supporting CONUS locations, our teams deployed throughout Africa, Europe, Central America and Asia to support and conduct civilian and military training in austere environments. We created training packages of specifically developed curricula in English and specified client language. Our training teams deployed to Honduras, Mauritania, Niger, Iraq, Afghanistan, and Kuwait. Barbaricum incorporated training aids, classroom instruction and practical exercises that measured the clients’ institutional knowledge against the ambiguity of ground truth reality and helped to determine understanding and focus our instruction. We worked with our clients to construct self-sustaining expeditionary camps to enable minimal logistics support. Additionally, we routinely managed deployment requirements for both personnel and equipment and ensured our deliverables met or exceeded client expectations. Barbaricum developed various training documents including outlines, support packages, Quick Reference Guides, Concept of Operations and Program of Instructions. The US Air Force Public Affairs provides Airmen with unique resources to document and convey the Air Force mission and legacy, while supporting global operations through innovative Public Affairs capabilities. The Barbaricum communications team supports the USAF Public Affairs through traditional media analysis and innovative social media assessment of the service’s top priorities. Barbaricum monitors the progression of relevant storylines and provides daily updates on narrative development in both the traditional and social media spheres to leadership to increase situational awareness. Additionally, our communications team is able to offer targeted social media analysis of events in order to assess the reach of online campaigns. VTP offers transportation solutions to Veterans through its Beneficiary Travel, Veterans Transportation Service, and Highly Rural Transportation Grants program to increase access to care, improve health outcomes, and more efficiently utilize VA medical resources via reducing missed appointments. Barbaricum supports VTP through research, communications planning, digital and web support, and creative collateral development. Our research team supports VTP with a suite of quantitative and qualitative research designed to better understand the various stakeholders involved in the program. For instance, we conduct focus groups and in-depth interviews with HRTG implementers, VA mobility managers, and clinical staff to understand the logistical challenges of operating a decentralized transportation service, and the challenges they face arranging transportation options for Veterans. We also conduct focus groups and rolling online surveys with Veterans who utilize VA health care, as well as Veterans who have recently used either the Beneficiary Travel or Veterans Transportation Service. The goal is to better understand the Veteran experience and satisfaction levels when using VTP services, learn how to promote services more effectively so more Veterans know about their benefits, and provide recommendations on how the programs themselves could be improved to serve Veterans better. Barbaricum supports the U.S. Department of Defense, Task Force for Business and Stability Operations (TFBSO) and their efforts to promote Afghan products, firms, and industries, as well as TFBSO’s mission, work and services in Afghanistan through strategically selected industry events and promotional collateral and materials. Under this contract, Barbaricum provides a range of professional, creative, advisory, event management and strategic communications services. Key tasks are delivered in two primary categories: Event Management and Strategic Communications. Our team of creative professionals worked with TFBSO to audit their recent and archived communications products to help inform their brand packaging and establish a brand story and narrative. Once the review was complete, Barbaricum developed a Brand Identity and Strategy Guide to inform messaging themes and concepts for all promotional materials creation to include– investor guide, overview video, calling cards, posters, brochures / one pager, infographics, and other branded collateral items (many items are available in English and Dari). Since 2006, the Corrections System Support Program (CSSP) within Department of State’s Bureau of International Narcotics and Law Enforcement Affairs (INL) has been working with the Afghan government’s General Directorate of Prisons and Detention Centers (GDPDC) to develop a safe, secure, and humane corrections system. Barbaricum was hired to conduct an independent evaluation of CSSP’s efforts. In conjunction with our trusted local partner Afghanistan Holding Group (AHG), Barbaricum will collect quantitative and qualitative data in eight GDPDC prison facilities across Afghanistan, in addition to GDPDC head quarters in Kabul. Data collection will include interviews and focus groups with prison management and correctional officer trainers; surveys with correctional officers, prisoners, and CSSP senior advisors; analysis of existing data and metrics; and a literature review of existing research on the Afghan corrections system. This multimodal, multimethod approach will minimize risk and provide a triangulated, 360-degree picture of CSSP’s progress in assisting GDPDC achieve its goals. The Army’s Asymmetric Warfare Group (AWG) requires an unconventional approach to analyzing and assessing capability gaps on the battlefield and developing concepts to bridging gaps. Barbaricum Operational Advisors have evaluated the military utility of live-fire capable non-static, un-railed, semi-autonomous robotic targets and is informing a future Army requirement for semi-autonomous robotic moving targets. We deployed the Robotic Human Type Target (RHTT) at JRTC in order to demonstrate adaptive marksmanship training techniques. Our Military Advisors have shown that the RHTT system is effective at bringing disciplined sectors of fire, command directed fires, and marksmanship capability to the forefront for the 21st Century Soldier Competencies. We continue to collaborate with the Maneuver Center of Excellence (MCoE), JRTC, US Army Sniper School and the Marine Corps Warfighting Laboratories to integrate realistic moving target marksmanship into the Force. Tactical Automatic Landing Systems (TALS) are required for the safe landing of weaponized UAVs. Traditional power solutions for the TALS are inefficient and unreliable requiring significant maintenance and fueling operations, which increases UAV operational risks and significantly limiting the number of sorties. Barbaricum Engineers utilized Modeling and Simulation (M&S) software and conducted testing and evaluations of several viable power generation solutions. Results led to equipping and training CJSOTF-A forces with a hybrid power solution optimized for current environmental conditions that provides reliable and efficient power to the TALS system. The solution reduced fuel consumption by 90% while significantly improving the TALS reliability resulting in an increase in the number of sorties and overall mission capability. Expeditionary logistics are a growing challenge for SOF and Barbaricum is on the cutting edge of practical rapid solutions. Barbaricum Operational Advisors continue to support SOF with gap analysis and solution implementation. SOF operating in West Africa and the Horn of Africa are dependent on unreliable host nation infrastructure and local economy for power, fuel, and water. Based on these conditions engagement teams (ODA, CMSE, MIST, and SOFLE) require the capability to self sustain using an unconventional approach. Barbaricum Operational Advisors conducted in theater assessments, researched viable material and non-material solutions, and implemented new technologies and trained engagement teams on optimal employment of solutions. Implementations included designing efficient host nation training camps, contingency-basing platforms, and Mission Command nodes; providing reliable power sources to critical infrastructure and force protection systems; optimizing tactical communications; introducing small unit water purification systems; and assessing the strategic and operational impacts. Our full-scale testing, evaluation, and training packages provide a single source for SOF missions worldwide. The U.S. Department of Veterans Affairs employs medical staff at over 1,400 medical facilities throughout 50 states, the District of Columbia and U.S. territories. These medical professionals make up the backbone of medical care for the brave men and women who have sacrificed in the line of duty for our Nation. Barbaricum works alongside the Veterans Health Administration (VHA) to assist with recruitment efforts across a number of areas – target audience research and analysis, strategy development, collateral production, and media placement. Our team of experts assisted in the development and production of military base and rural relocation recruiting pilots. We also provide ongoing assistance to Veterans Integrated Service Networks (VISNs) Recruiters, supporting their recruiting efforts while also vetting new recruiting tools to help them find the right candidates for the VA when they are needed. Managing a global health system presents specific challenges, whether it be the implementation of an electronic health record or deciding on medical research investments. As the head of the U.S. Army’s Medical Command, The Office of the Surgeon General (OTSG) must remain informed on developments in medical research and technology, and the implementation and variation in public health initiatives. Working alongside OTSG, Barbaricum combs through peer-review medical journals from across the globe to select relevant, cutting-edge technological and medical research. When topics such as prosthetics, infectious disease control, sexual assault prevention strategies, and advances in psychiatry appear in the media, Barbaricum is able to translate jargon, summarize complex medical concepts and procedures, and deliver an indexed snapshot of the medical research landscape once per month. Barbaricum then monitors the development of these storylines throughout traditional and social media, along with trade publications, to illustrate the impact of research and programs such as the Performance Triad on various audiences. Barbaricum currently conducts satisfaction and assessment services for the Veteran Affairs Office of Acquisition and Logistics (OAL) Supplier Relationship Management Initiative. Our tasks include designing, programming, administering, and analyzing annual online surveys for seven offices within OAL, as well as administering the biannual Supplier Perception Survey, which gathers opinions from organizations that provide goods and services to the VA on Acquisitions and Supply Chain Management policies and practices. Both of these quantitative research initiatives are designed to assess drivers of satisfaction among internal and external customers, and provide recommendations on ways the VA can improve its customer relationships. Barbaricum also provides monthly website updates and quarterly newsletters for the VA, as well as implements biannual webinars that provide a platform for VA leadership to interact with suppliers in real time. Barbaricum currently performs extensive research and evaluation services for U.S. Citizenship and Immigration Services, geared toward assessing the ways the organization interacts with customers and stakeholders through its websites, call centers, and field offices. Barbaricum works closely with the client to understand business objectives and information needs, engage key stakeholder audiences in a way that elicits reliable and valid data, and present research results that are clear and actionable. Our trained social scientists are currently conducting multiple large-scale quantitative and qualitative data collection and analysis initiatives, including rolling online surveys, monthly telephone surveys, and nationwide focus groups of USCIS customers, the American immigrant community. Our research is designed to capture the voice of the USCIS customer and stakeholder, and provide USCIS with information on what motivates people to interact with their communication channels, what aspects of those channels they find helpful or not helpful, and ways in which the stakeholder and customer experience could be improved. The overarching goal is to understand how the American immigrant community perceives and interacts with USCIS, and present realistic recommendations on ways to improve that relationship. The Combat Studies Institute (CSI) is one of the U.S. Army’s premiere military history organizations. It is responsible for researching and presenting historical accounts of military campaigns and supports the Combined Arms Center and Training and Doctrine Command in a wide variety of functions. Barbaricum helped CSI bring accounts of military history to the Army and the general public via new media. We collaborated with CSI to develop the first, multimedia Army History iBook, “Vanguard of Valor: Enhanced Edition.” Barbaricum served as advisor on the creation of the document, provided hands-on video, photo, and audio support, and coordinated the release and publicity surrounding the iBook’s launch. The product was covered by Wired magazine and a host of other national and local military media news outlets and has received high praise from Army Senior Leadership. The product has garnered Army-wide adoption and has led to additional CSI educational iBook projects. “Vanguard of Valor,” also earned Barbaricum the 2013 Award from the Public Relations Society of America. The Center for Army Leadership (CAL) produces the Army leader doctrine while helping the Army to develop leadership skills at every echelon. When a new edition of the Army’s doctrinal publication on leadership was nearing completion, CAL tapped Barbaricum to assist with the launch. Barbaricum developed a communications campaign and produced informative collateral to promote the new doctrine across the Army and industry. 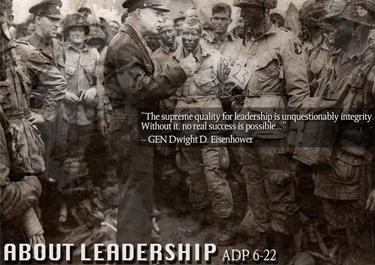 We also developed a video, “About Leadership: ADP 6-22,” that captures insights from senior Army leaders to reinforce key themes and messages. The video debuted at the Fall Association of the United States Army (AUSA) in October of 2012 and included remarks from the Joint Chief of Staffs, GEN Dempsey, the Chief of Staff of the Army, GEN Odierno, AFRICOM Commander, GEN Rodriguez, and a host of other Army leaders. In 2013, the U.S. Army launched the Ready and Resilient campaign to place a renewed effort on improving the health of the Army- Soldiers, Army Civilians and Families. This Army-wide campaign is one of Army senior leaders’ top priorities and its success hinged on its communication as well as its implementation. Barbaricum supported OCPA in developing a public affairs strategy and an assessment plan to gauge the Army’s effectiveness in communicating the Ready and Resilient campaign. Throughout the course of the campaign, Barbaricum continuously gathers quantitative and qualitative data to assess progress and make recommendations to Army senior leaders. Barbaricum conducts audience research, surveys, and traditional and social media analysis to determine whether OCPA communication objectives were successfully achieved. As part of this assessment, Barbaricum wrote, executed and analyzed an Army-wide survey that helped identify potential gaps in force awareness and was used by Army leadership to hone communication strategy and communication efforts. In partnership with the US Army, Barbaricum provided a team of Operational Energy (OE) Advisors to support US Military efforts in an operational environment to reduce fuel and water deliveries and improve reliability of key surveillance and force protection equipment. These sites are often far removed from the normal bases of operations, and must be resupplied by airlift. OE Advisors assessed the baseline operations to develop strategies to improve efficiency and reliability. Working with military leadership we assisted in implementing changes to power and incorporating hybrid technology where appropriate, resulting in improved efficiency. The outcome is less resupply, less maintenance and less manpower, which equates to more soldiers for mission tasks. We possess the unique skills to understand military operations, as well as convey problem sets to successfully implement change. Electrical power is critical to military command, control and communications and, therefore to force protection. Barbaricum, in partnership with the U.S. Military, assists in augmenting traditional power generation with hybrid and alternative energy systems into deployed forces worldwide. After comprehensive site assessments, Barbaricum provides feedback and analysis to integrate the appropriate equipment and trains operational personnel, resulting in greater reliability, increased force protection, less maintenance and lower fuel demand – dramatically improving Military capabilities. Among many success stories at remote bases and outposts, our work has helped sustain power to critical perimeter security cameras, force protection equipment and critical tactical operations centers. Barbaricum assisted the Department of Defense to assemble an Energy Partnership and Strategy Council that would allow PACOM to minimize dependence on fossil fuels and meet Hawaiian environmental standards while developing renewable energy resources, leadership and energy security. Barbaricum effectively engaged critical stakeholders ranging from the Department of Energy, the State of Hawaii, local community groups, and the private sector to secure several millions of dollars in funding for conversion technology, new energy efficiency solutions, and to research and develop clean technology solutions tailored to the unique tropical environment. In partnership with the US Military, Barbaricum traveled to over fifty austere sites to assess and address operational energy challenges and increase efficiency in order to increase capability, power surety, and flexibility. Many of these sites are extremely remote locations in the Middle East and West Africa and are accessible and resupplied only through airlifts. Based on our power assessment, we recommended process, technology and architectural improvements that resulted in less fuel, better efficiencies and reduced maintenance on equipment. We also educated soldiers to understand power use and developed strategies to implement power grids instead of inefficient spot generation.